Judy L. Mohr is an engineer by background, but a writer at heart. Her PhD specialized in astronomical instrumentation, where she used stellar light to measure the horizontal air movement above the McLellan 1-m Telescope, Tekapo, New Zealand. Her post-doctoral research was with the MARS research team, who are developing the world’s first color-CT scanner. Needless to say, optics, imaging and light are her thing. 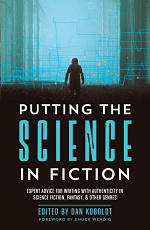 It should be no surprise that Judy’s fictional writing has a science fiction and fantasy slant. You can follow Judy on Twitter, or visit her at www.judylmohr.com. Imagine driving through a parking garage looking for a perfect place to park. You find one, so you go to pull in, only to be confronted by a man in a wheelchair telling you that your perfect parking spot is actually a handicapped spot. You step out of your car confused. Where did this man come from? He wasn’t there moments before. Yet, his image is as clear as anything. A hologram wants you to park somewhere else. 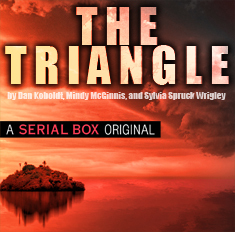 It may sound like fiction, but it’s not. Scientists in Russia have combined detection and recognition technologies with projection systems to solve a very real issue. 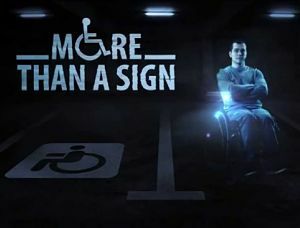 If a handicap placard is not detected on your vehicle, an image of the man in the wheelchair is projected onto a curtain of mist directly in front of you, and the image is very convincing. But is this really a hologram? According to Merriam-Webster and Oxford English Dictionary, a hologram is a 3D image formed from the interference patterns of a coherent light source. Put simply, a hologram is a virtual 3D image. It does not need a screen to be seen, nor does it need be a monochromatic source of light. All that is needed is a light source of known, determinable characteristics and surfaces to bounce the light around. 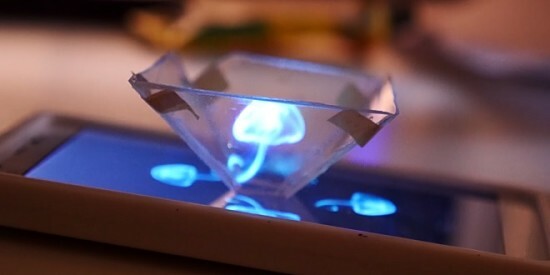 You can even turn your smart phone into a holographic projector. So, what about that Russian hologram telling you to park somewhere else? Based on the above definition, it’s not a hologram. It’s a 2D projection, but still a very convincing one — and one that I would love to see in other countries around the world. But where does that put holographic technologies? 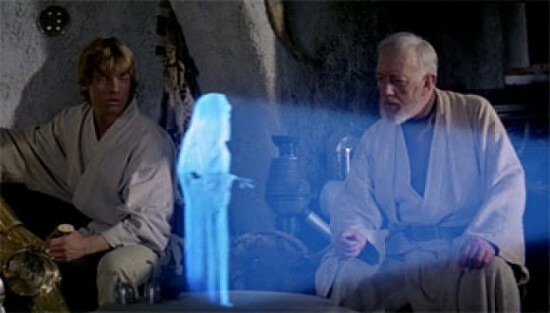 In 1977, R2D2 projected an image of Princess Leia onto the big screen and the main stream idea of using holograms for communications was born. 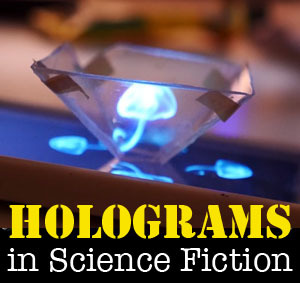 What the public didn’t know was that holograms already existed. The first hologram was produced in 1947 by the British scientist Dennis Gabor while trying to improve the resolution of electron microscopes. With the advancement of lasers in the 1960s, holography developed into our current understanding of 3D image transmission. In 1972, Lloyd Cross combined white-light transmission holography with conventional cinematography to produce moving 3D images from a sequence of recorded 2D images of a rotating object. So when George Lucas added holographic technologies to his futuristic story, it was by no means a stretch of the imagination. However, I must admit that I’m still trying to figure out how R2D2 was able to take an image of Leia’s back when she was facing him during the recording, but we’ll ignore that little detail. Creating large scale 3D images showing different views from all angles, similar to those portrayed in the Star Wars franchise, is not completely beyond the realm of our current technology. Remember when I said that you can turn your smart phone into a holographic projector? Over the last year, many articles have described how to use the clear plastic from a CD case and your smart phone to create a moving holographic image of a jellyfish. Holographic toys using mirrors to magnify and project 3D images of Matchbox cars and rubber frogs in free air are readily available. If one was to combine these simple holographic projectors with the current video phone technologies, the talking, interactive hologram used for communications in Star Wars instantly becomes a reality. When Can I Get A Holodeck? But what about the best holographic idea that science fiction has to offer: the holodeck from Star Trek: TNG? I don’t know about anyone else, but I remember sitting with my parents, gathered around the TV in awe as the first episode aired in 1987. Already big fans of Star Trek, my mother constantly begging to have a replicator, it was a collective “I want one” when we saw Riker open the doors to the holodeck and walk into the forest. Unfortunately, unlike the holograms of Star Wars, the holodeck and its fully interactive environment are something that we will never see. Projection systems may progress to the point that the 3D images are indistinguishable from reality, however, just the presence of a solid object would disrupt the image, creating shadows and distortions. Not only that, as mentioned in a previous post on the weapons of Star Wars, light cannot stop matter. If you try to sit in a holographic chair, you’ll fall to the floor and potentially hurt your bum. If we ignore science fiction’s suggestion that we might physically interact with holograms, enjoying the cup of tea with historic holographic characters, 3D projection and holographic-related systems have already had an impact on our everyday life. And it all starts with a pseudo-hologram telling you to park somewhere else.